A honest comparison between Juki and Janome. Let us find out which brand offers more value in different sewing machine categories. So many people are comparing Juki Vs Janome sewing machines because of the quality they offer. Both Juki and Janome are from Japan and they both have been selling sewing machines in U.S for a while now. Janome seems to have much more variety across different price categories. In U.S, they are selling beginners as well as industrial sewing machines. Juki on the other hand has very small presence in the beginners machine category. They are concentrating more on industrial sewing machines. As I said earlier, Juki has very few machines in the beginners category. They face stiff competition from Brother, Singer and Janome. As of now, they haven’t quite excelled in this area. I feel Juki’s beginners machines are priced slightly higher when compared to its competitors, that seems to have worked against them. 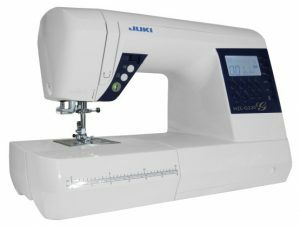 The two best beginners sewing machines you can get are Juki HZL-K85 and JUKI HZL-27Z. HZL-K85 has been very highly rated by its users. Apart from these two models, there aren’t many quality machines to choose from. 1. Janome Sew Mini : Mini sewing machine that comes in the under $100 price category. 3. Janome 2212 : The best low cost mechanical sewing machine for beginners (from Janome). 4. Janome 8077 : One of the best computerized sewing machines from Janome. Apart from these models, there are many other quality machines. The best thing about Janome machine is the build quality. They will never use low quality plastic materials for construction. The stitch quality is of highest class. 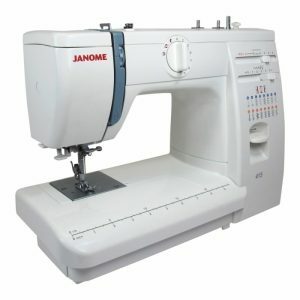 I have reviewed over 250 sewing machines to date and I have seen very few (very few) low quality machines from Janome. That is the reason why it is the best brand to choose, if you are looking for quality. They may be less on features and might be expensive at times, but the quality you get is worth the extra dollars you pay. 3. Janome MC 7700QCP : This one is really expensive to be honest. If you are looking for a beginners sewing machine, Janome will be a better option. Because they have better service and there are a lot of models to choose from. Moreover, Janome makes one of the best beginners machines in terms of stitch quality. If you are after industrial sewing machines, you need to analyze each machine very closely, as you are spending thousands of dollars. As far as industrial sewing machines are concerned, there is no clear favorite between Juki and Janome. It all depends on that particular sewing machine model you are looking at. Have a look at the features, read a lot of reviews, watch some YouTube videos and then decide.